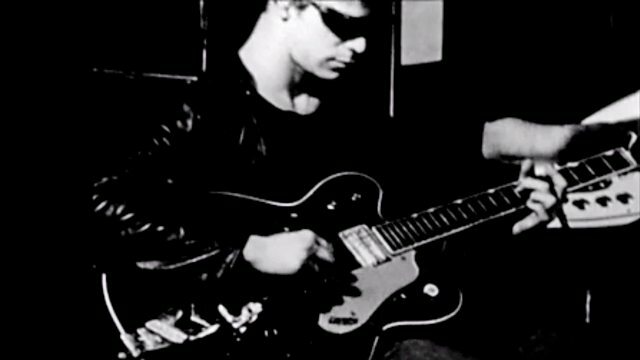 A profile of the Lou Reed Drones event at Brighton Festival, which featured an installation of the celebrated late musician's guitars and amps in feedback mode. Laurie Anderson, Reed's partner and collaborator, relates how when the exhibition opened in New York, people, including an Iranian bagpipe player, showed up with instruments and stayed all day – she describes the event as ‘a new art form’. Stewart Hurwood, Reed's long-time guitar technician and curator of the exhibition, demonstrates the art of feedback and the sounds on ‘gear-head’ Reed’s 1975 album Metal Machine Music. Filmed by Spike Geilinger of Cinestre Films at Brighton Festival 2016 for BBC Arts.